Let’s get this out of the way: I adore the book and I adore the 1990 made for TV mini-series. I can quote both and have read the book from cover to cover on at least three occasions. I am a fan of IT. When I first heard of the revisioning – taking the story I love into a complete, current movie – I was both excited and a bit cynical. I’m fully aware that much of the 1990 version doesn’t hold up to modern eyes – but I treasure it and Tim Curry’s performance dearly. I tried my damnedest to walk into this version with an open mind – and I’m happy to say that I loved it. Without giving away much, this movie made some extremely smart choices. Instead of rehashing all the famous Pennywise scenes from the 1990 version, they went back to the book and pulled out scenes that they could make their own. The biggest change is that the Losers Club takes place in the 80’s instead of the 50’s. So the writers throw in a few nods to the time period but stay true to the heart of many of the characters. There are also several small changes with auxiliary characters that I wonder if are intentional to set the stage for ‘Chapter Two’. Director Andy Muschietti doesn’t hold back on the gore – and the Loser Club is more foul-mouth, both of which rightfully earns the movie its R rating. I’ve always felt like there was a kinship between the kids of IT and those in Stand By Me – and this version helps highlight that sense of duty and adventure that make both versions about the bonds of adolescence. Of the cast, it is easy to see them as young actors on the edge of true stardom. Sophia Lillis, the young Beverly Marsh is a phenom. At 15, she handles Bev’s emotional arc with grace and authenticity. Whatever that mysterious ‘it factor’ is, this young lady has it in spades. But it wouldn’t be a review of IT without talking about Pennywise. The lanky Bill Skarsgård, playfully adds this elegant, flowing movement to much of what he does – which is a great touch given that Pennywise is dubbed a ‘dancing clown’. His size also means he looms over the kids, helping to create something of a more ominous demeanor. The thing that I appreciate – is he how created his own version of Pennywise. Between the makeup choices and period clothing, Skarsgård was able to create his own version of Stephen King’s monster. And of course, modern special effects means that moments that simply weren’t possible on a TV budget came to life in a beautiful, monstrous way. The biggest example of that being the end of the movie. The 1990 version fell flat here, and the 2017 version stayed very true to the book with the help of special effects. As I mentioned, 2017’s IT does take some liberties with the plot, some due to the shift in the timeline and some… well, I believe they could be hints of where they will take some chances with Chapter Two. 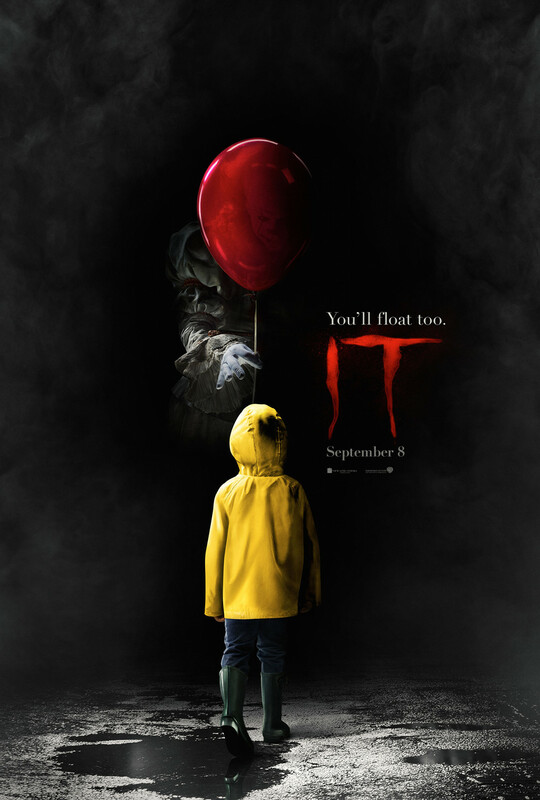 Whether you are an IT fan or just like horror movies – do yourself a favor and see this in the theater. It is truly a theater movie, and damn fun one at that. This entry was posted on September 9, 2017 by 850music in Posts and tagged Movie Review.